How Dogmatic Iconography defends the doctrine of the Incarnation against ancient Gnosticism. Harold Bloom, in his book, The American Religion, rightly comes to the startling conclusion that America is a nation of Gnostics, believers in a pre-Christian tradition of individual divinity. The American propensity to be religious iconoclasts on the one hand, and cultural idolators on the other is a stark and broken contrast with Incarnational Christianity. Despite protestations to the contrary, it is not the icon which is so offensive to Gnostics and iconoclasts, it is the message which the icon represents which cannot be tolerated. Before the Incarnation, it was idolatrous to make an image of God. Now that the Incarnation has taken place, it would be idolatrous not to make images of Him. When a religion rejects images of God, it confirms the message that God is only a spirit, and that He has no physical body. Before the Incarnation, that was true. After the Incarnation, it is false, and is therefore, as false worship, idolatry. Idolatry is worshipping false gods, or worshipping the True God while misrepresenting Him. In ancient Israel, when people worshiped Baal, Ashtoreth, and Moloch, they committed the first form of idolatry. These are all false gods, and it is idolatry to worship them in any way whatsoever, either with or without images. 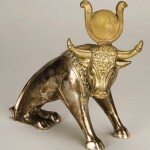 When the Israelites worshiped the golden calf, they committed the second form of idolatry. They correctly noted the identity of the true God, but they grossly misrepresented Him. Instead of recognizing God as an invisible Spirit, the Israelites made a golden calf, they praised it for delivering them from Egypt, and they even called the calf “Yahweh”. When the Israelites sinned with the golden calf, they were still correct that God’s name is “Yahweh”. They were correct that Yahweh had delivered them from Egypt. And they were correct to praise Yahweh. But their worship was turned into idolatry, because they misrepresented Him. God is not a cow, nor does He look like one. Similarly, when heterodox Christians worship with bare walls and an absence of icons, they are correct that God’s name is “Jesus”. They are correct that Jesus came to deliver them from sin. And they are correct to praise Jesus. But their worship is turned into idolatry, because they misrepresent Him. God is no longer a faceless spirit. Before God became incarnate in the womb of Mary, He had no human body. Images of God were therefore forbidden, because they misrepresented God, but now that God has become incarnate, our worship must reflect this important fact. Otherwise, if we misrepresent God, we become idolaters. In ancient Israel, God did not want His people bowing down before images of Himself, because any image of Him they made would be misrepresenting Him. But He knew that people needed to bow down before something, so He provided the Temple in Jerusalem for this purpose. The temple did not represent the image of God, but it did represent His presence. Anticipating the day when He would become incarnate, when His people would be able to have images of Himself, God taught His people to include many images in the context of worship. The Jerusalem temple included icons of angels, and early synagogues were covered with icons of many Old Testament saints. The Word had not yet become flesh, so God’s people venerated the Word of God contained in Scripture. Even to this day, Jews bow toward the Torah scrolls when entering/exiting the synagogue, and also during special Torah services. Jews also kiss the Torah to venerate it. The invisible God is seen by shepherds, etc. It is the reality of the Incarnation which iconography, as sure as the written Scriptures and the liturgical hymns of the Church throughout the ages, protect, defend and guarantee that Christ is understood in one way and one way only – as God the Word come in the flesh. After Christ came, He referred to His own body as the true Temple. Therefore, instead of continuing to bow down toward a temple building, we now bow down toward images of Jesus. 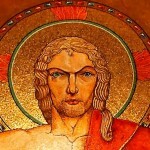 This is not worship of the icon – perish the thought! No Orthodox Christian thinks a piece of wood created heaven and earth. We also bow to one another, because Scripture says that every Orthodox Christian is a temple of the Holy Spirit. When Orthodox Christians bow to an icon of Christ, they are reminded that God is now forever united to a body – the physical flesh of Jesus of Nazareth. Jesus is fully God, and fully human, and He is physically seated in Heaven even today. Orthodox worship represents God correctly. When others, including heterodox Christians, refuse to bow to icons of Christ, and they choose to bow down before nothing instead, their worship suggests that God has no body, and that the Incarnation hasn’t happened. Their worship misrepresents God. They are bowing down before a faceless idol. The Icon is not a ‘holy picture’ designed to increase piety. Neither is an icon something spiritual in itself, as it does not depict “God” in general. 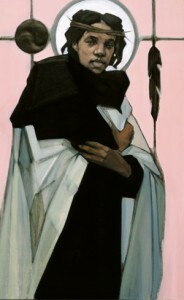 The icon is a dogmatic expression of a theological truth. It is, therefore, not variable as artists would claim by ‘artistic license’ – a term I, as an artist, have always found to be a cop out for lack of talent or lack of vision. Just as one cannot translate the Bible any old way one wishes to and still remain true to the text, one cannot paint an icon any old way one wishes to and still remain true to the prototype. 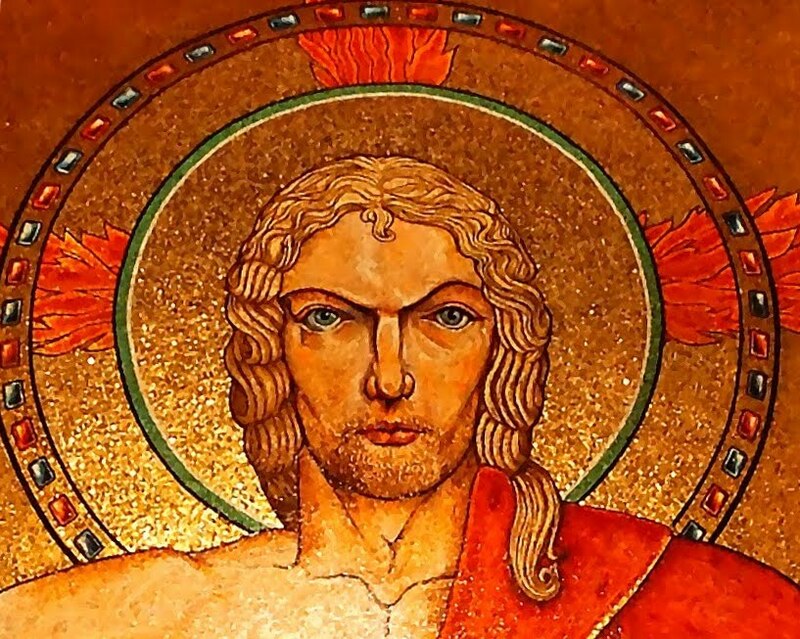 There are no dogmatic icons of Jesus as Chinese or Jamaican, or with blonde hair and blue eyes. He must always be depicted as he was visible on the earth – a first century Jewish rabbi. 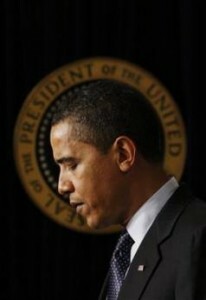 By the same token, the icon is far more than just an attempt to capture a historical person or event. The icon shows the spiritual truth or heavenly reality – not just the image or ‘snapshot’ of history. Therefore, we never see icons of saints who wore glasses in which they are wearing their glasses. Why not? Presumably, no one wears glasses in heaven, where all may gaze and contemplate upon the glories of heaven. “We have passed the stage of infancy, and reached the perfection of manhood. We receive our habit of mind from God, and know what may be imaged and what may not. The Scripture says, “You have not seen the likeness of Him.” (Ex. 33.20) What wisdom in the law-giver. How depict the invisible? How picture the inconceivable? How give expression to the limitless, the immeasurable, the invisible? How give a form to immensity? How paint immortality? How localize mystery? It is clear that when you contemplate God, who is a pure spirit, becoming man for your sake, you will be able to clothe Him with the human form. When the Invisible One becomes visible to flesh (as in the Incarnation of God in the flesh – John 1:14), you may then draw a likeness of His form. When He who is a pure spirit, without form or limit, immeasurable in the boundlessness of His own nature, existing as God, takes upon Himself the form of a servant in substance and in stature, and a body of flesh, then you may draw His likeness, and show it to anyone willing to contemplate it. 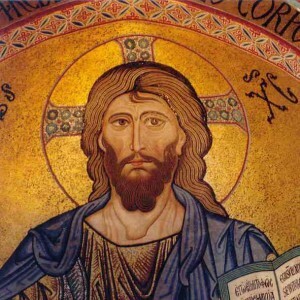 Indeed, we see that as American Gnosticism strains to invent a distant, amorphous and ahistorical “concept of God,” Who can never be seen or heard or heard from, it is precisely the dogmatic icon, depicting Christ as He appeared in time, in history, on the earth and among men, which guarantees the Truth of the historical Incarnation that God became flesh and dwelt among us. The reality is that American Gnosticism clearly denies the objective presence of Christ in the World through Church, Sacrament, and Creed – all vehicles for remaining ‘on the mark’ so to speak. In short, it attempts to make the Incarnation irrelevant. It is the dogmatic icon which destroys the idolatrous fantasy of Gnostic relativism, and which is, therefore, intolerable to any Gnostic or even to any Christian with Gnostic tendencies. And so it is. When the Word became flesh, iconoclasm became idolatry. The Incarnation changes everything.